The fungus Aspergillus fumigatus is everywhere, and is extremely dangerous for people with weakened immune systems. It occurs virtually everywhere on Earth, as a dark grey stain on damp walls or in microscopically small spores that blow through the air and cling to wallpaper, mattresses and floors. Healthy people usually have no problem if spores find their way into their body, as their immune defence system will protect them. 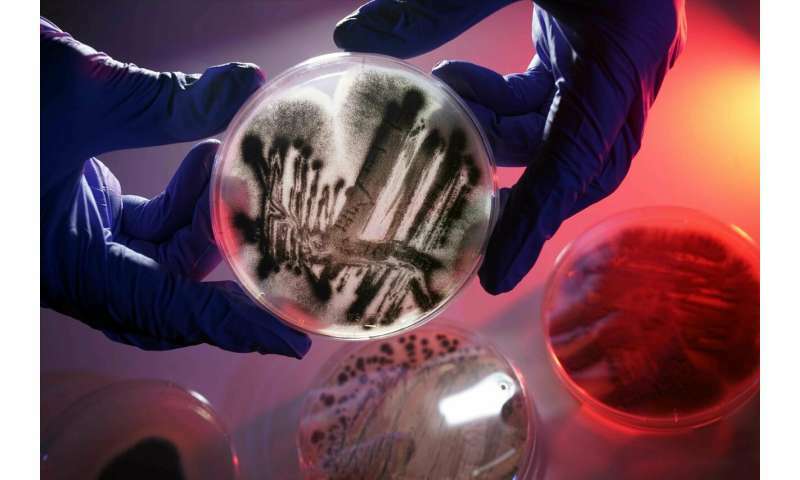 However, the fungus can threaten the lives of people with a compromised immune system, such as AIDS patients or people who are immunosuppressed following an organ transplantation. Among other factors, it is gliotoxin, a potent mycotoxin, that is responsible for the pathogenicity of Aspergillus fumigatus. "It was known," says study manager Werz of the Institute of Pharmacy at the University of Jena, "that this substance has an immunosuppressive effect, which means that it weakens the activity of cells of the immune defence system." However, it had not been clear previously how exactly this happens. Werz and his team colleagues have now studied this in detail and have clarified the underlying molecular mechanisms. This does not happen if the pathogen Aspergillus fumigatus is involved. As the Jena scientists were able to show, gliotoxin ensures that production of the messenger substance leukotrieneB4 in the neutrophilic granulocytes is inhibited, so that they are unable to send a signal to other immune cells. This is caused by a specific enzyme (LTA4 hydrolase) being switched off by the mycotoxin. "This interrupts communication between the immune cells and destroys the defence mechanism. As a result, it is easy for spores – in this case the fungus – that enter the organism to infiltrate tissues or organs," says Werz.